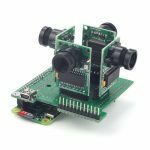 As ArduCAM is general purpose camera, it can be used on any micro controller platform not limited to Arduino, and now ArduCAM team port the code library to Raspberry Pi family. 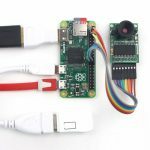 Thanks to the uniform 40 pin GPIO header design makes it possible to adopt ArduCAM and its mutli camera adapter board for Pi B+, Pi 2, Pi 3 and even Pi ZERO. Due to the benefit of onboard frame buffer and DMA transfer directly from sensor to frame buffer, make the ArduCAM outstanding of taking photos simultaneously. 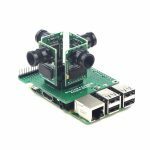 With ArduCAM porting for Raspberry pi, you can use more cameras on Raspberry Pi together with native Raspberry Pi camera.